Spend your holiday in the lovely mountain town of Annaberg-Buchholz amid the wonderful natural landscape of the Upper Ore Mountains. 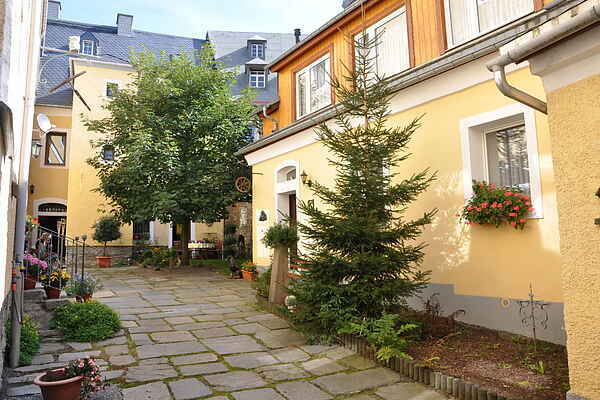 The apartment is located on the first floor of this beautiful Vierseitenhof. The apartment is cosily and brightly furnished. The garden and courtyard with garden furniture are also at your disposal. When the weather is nice, you can spend peaceful hours outside in the courtyard. The city and the region offer an extensive sports and leisure programme as well as numerous destinations.